Eratosthenes realized that the earth was a sphere. to Aswan was one-fiftieth of earth’s circumference. 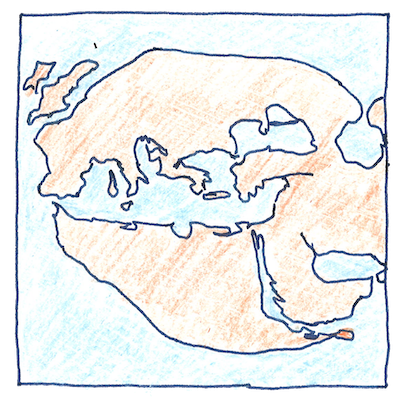 Eratosthenes calculated the circumference of the earth. so that distances could be estimated easily. is confused by uncertainty over his unit of distance. could be different lengths in different countries. quickly proved to be impractical. is an even bigger infinity. Geodesy is the study of the size and shape of the earth. In addition to estimating the circumference of the earth, there are reports that Eratosthenes estimated the length of the year, distances to the moon and sun, and the diameter of the sun.